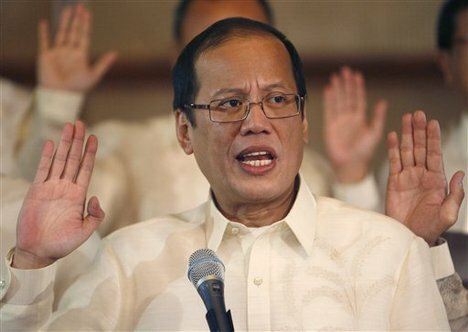 The Philippine President, Benigno Aquino III, is backing a bill that would require the government to provide information on family planning methods, make contraceptives available free of charge and introduce reproductive health and sexuality classes in schools. President Benigno Aquino III, still widely popular a year after a landslide election victory, has backed artificial birth control and said last month he was ready to face the consequences and, if necessary, risk excommunication. “I have been taught in school, which was a Catholic institution, that the final arbiter really is our conscience,” Mr Aquino told reporters yesterday. Unfortunately for Mr. Aqunio, he did not listen very well in religion class. The Catechism of the Catholic Church, 1776-1802, summarizes the Catholic Church’s teaching about the Formation of Conscience. Whereas Mr. Aquino is correct in asserting that the “person” is the final arbiter for the “person”, God always will have the final say whether our action/decision, was in accordance to His will. Let us hope that the people of the Philippine’s have had a better Catholic education then their President. Let’s further hope that politicians like Manny Pacquiao, will continue to fight against this bill and to further educate the people about the evils’ of contraception and the Culture of Death. This entry was posted in Latest, Recent News and tagged Catholic Church, Conscience, contraception, Humane Vitae, Manny Pacquiao, philippines. Bookmark the permalink.